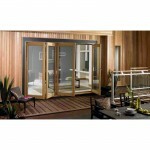 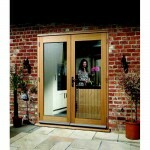 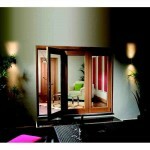 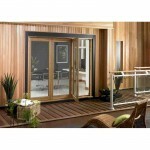 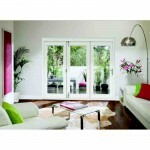 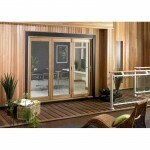 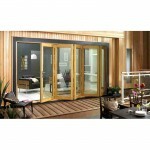 NUVU Folding doorsets provide a unique, lifestyle solution, by cost-effectively facilitating bringing the outside inside and extending the interior to the exterior – creating increased “living” space along with a more salubrious and convivial environment to enjoy on a day-to-day basis and relax in when entertaining. 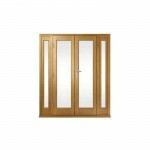 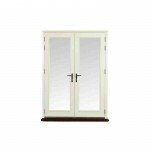 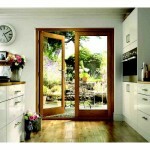 CD NUVU Folding doorsets come in a standard height of 2095mm and are available in seven different widths – 6′; 7′; 8′; 10′; 12′; 14′; 16′ – across 3 attractive and fashionable finishes, either unfinished Oak, composed of FSC certified Oak veneer applied to an engineered timber core, suitable for finishing on site to a customers’ specific colour shade, pre-finished Oak, which is treated with a 3 part, high build tinted lacquer at the point of manufacture, or pre-finished White produced from FSC certified engineered softwood and protected by a durable, solvent based, 3 part, high-build exterior paint system. 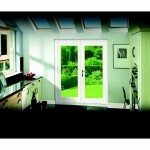 In short, CD NUVU Folding, is a premium quality, “off the shelf”, modular, affordable alternative to comparable, far more expensive, bespoke doorsets, that’s ideal for conservatories, garden rooms, orangeries, patios and larger verandas and specifically targeted towards anyone involved in the new build sector, property development, renovation, remodelling or refurbishment projects, able to design their brickwork opening around a standard frame size. 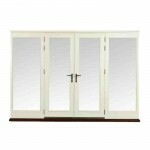 Installing CD NUVU Folding will not only afford additional space, but also add value to your property, so for professional developers and homeowners alike, they’re clearly the perfect choice both aesthetically and financially. 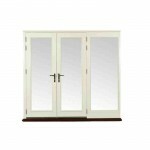 Please note, CD’s NUVU Folding doorsets are only available in the respective sizes, finishes and glazing options detailed – they cannot be custom made.